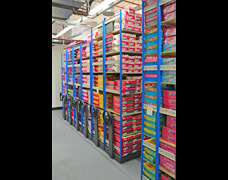 Stockroom shelving for the storage of shoes and boots in retail stockrooms requires careful design considerations to maximise storage capacity in the stores area. 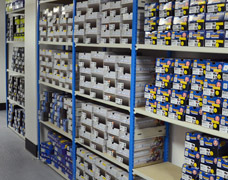 The Trimline modular shelving system offers a class leading stockroom shelving solution that can be designed around specific shoe box sizes, this flexibility provides practical and cost-effective shoe racking that will help optimise your back of house storage areas. 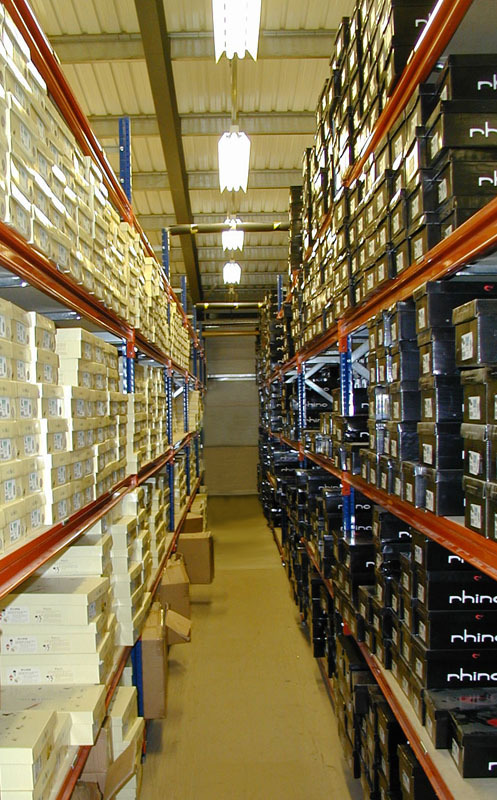 Stockroom racking for shoes is normally constructed at 600mm deep to allow standard shoe boxes to be stored in a double depth configuration whilst also providing the option of larger boot boxes to be stored on the same shelf. 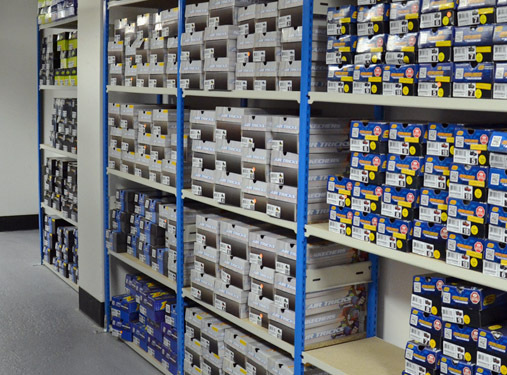 Single depth shoe shelves are perfect for smaller stockrooms and are normally built to a size of 300mm deep, 400 or 450mm depths can also be specified to provide more storage area for larger shoe boxes and other stock items if required. 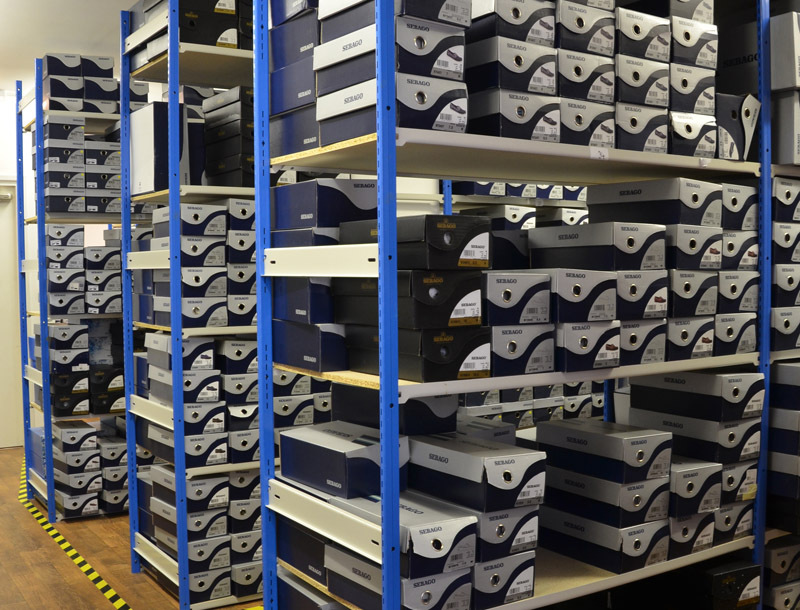 Our stockroom shoe box racking is available in a variety of heights to make full use of all the available stockroom space, shelf gaps for retail shoe storage are normally set at 525mm to hold up to 5 ladies or 4 men's shoe boxes in height. 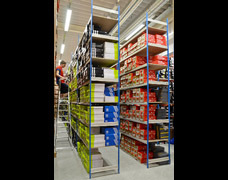 The photograph below-left shows how a major high street retailer uses 12ft high shoe racking in several long runs, this creates a high density shoe storage solution that is split into easy to access sections for quick stock retrieval. 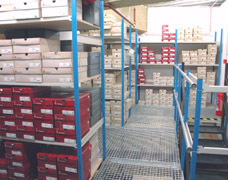 When there are large volumes of shoes or boots to be stored, or when there is limited space, mobile shelving and stockroom roller racking systems are widely used to increase stock capacity. 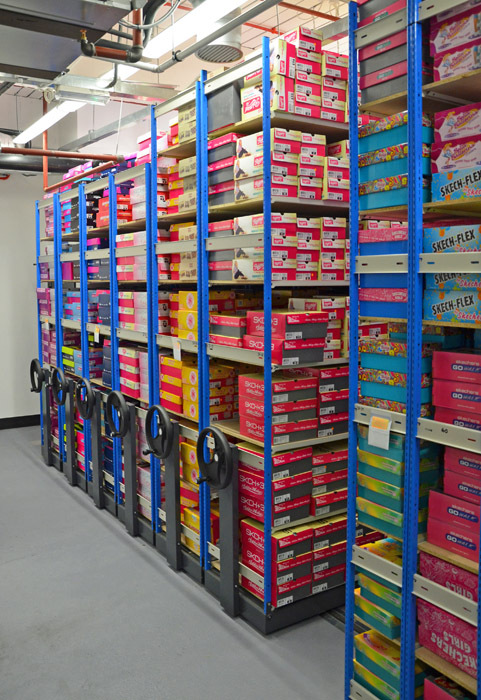 In many cases mobile units can provide space for up to twice as many shoe boxes as conventional static shelving. 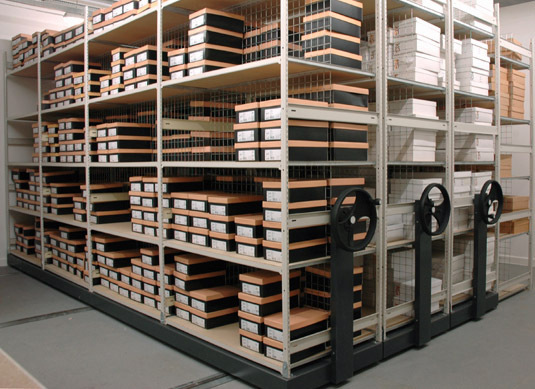 The rolling racks are designed with one or more aisles to suit the number of people accessing the shelf picking face. 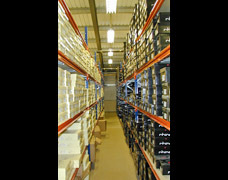 Removing unnecessary aisle space vastly increases storage capacity and retains quick and easy access for all staff members. 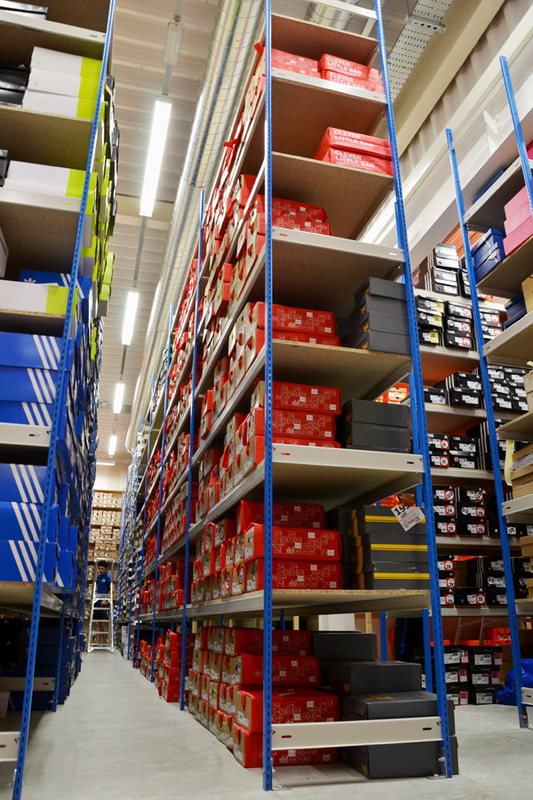 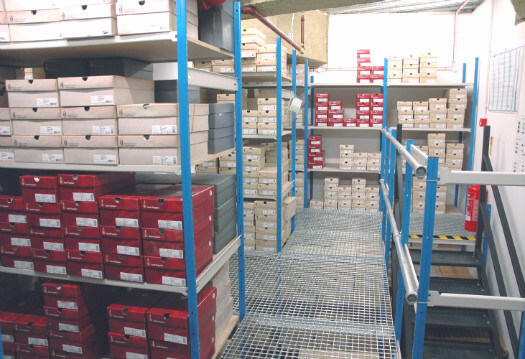 We specialise in stockroom shelving systems for shoe retailers and wholesalers, call us today to discuss how we can save you space and improve your stockroom or storage area. 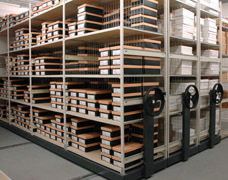 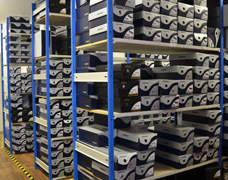 Our high quality shoe storage solutions are trusted by many of the UK's leading footwear and clothing brands, contact us today with your stockroom racking requirements for a quotation.